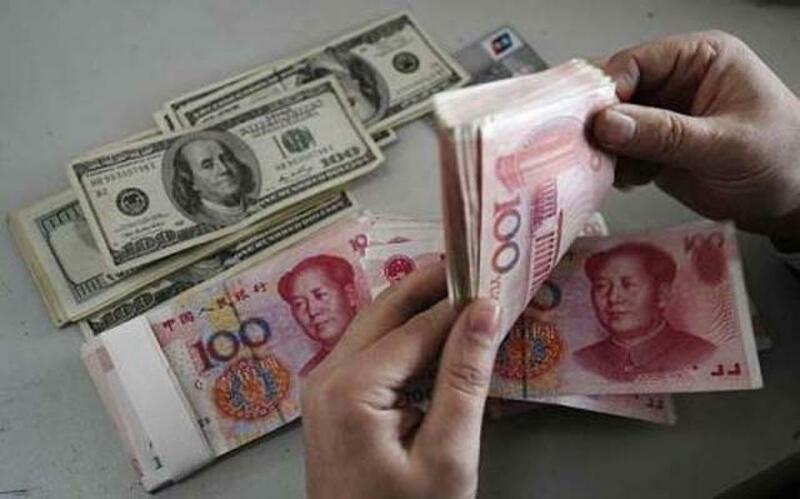 The devaluation of the Chinese yuan, coupled with anxieties about Beijing\'s ability to revive the flagging economy, tasted first blood with a massive global stock market slide and a currency tumble. Worse is expected, especially for countries that relied on the Chinese economy as the main growth driver. Rumours abound of the contagion spreading, as indeed it did during the East Asian crisis because of the interlocking of economies. The devaluation of the Chinese yuan, coupled with anxieties about Beijing's ability to revive the flagging economy, tasted first blood with a massive global stock market slide and a currency tumble. Worse is expected, especially for countries that relied on the Chinese economy as the main growth driver. Rumours abound of the contagion spreading, as indeed it did during the East Asian crisis because of the interlocking of economies. So far there is no indication of credible policy interventions that might arrest the 'Made in China' rout. Investors have started pulling money out of developing countries that they invested in to fuel China's appetite for raw materials and there is genuine fear that the anticipated crisis could trigger a full-blown global slowdown. The Indian economy has so far performed relatively better in local currency and dollar terms. Dealers have not been excessively worried at the current depreciation of the rupee because they see it as being over-valued in any case by around 8-10 percent. Nor, indeed, was RBI Governor Raghuram Rajan perturbed and said he was willing to deploy the country's foreign exchange reserves, if necessary, to shore up the currency. Sensing India's macroeconomic fundamentals to be resilient, Prime Minister Narendra Modi sensed an opportunity for India to fill in the space likely to be vacated by China. The crash, in other words, could be converted into an opportunity. With oil prices at an all-time low, a unique opportunity presents itself for India to make that long anticipated transition towards growth. But for this to happen, the government needs to undertake certain key steps. First, it needs to ensure non-interference in the autonomy of the Reserve Bank of India. The RBI governor has firmly ruled out rate cuts, cautioning that without sustained low inflation, a rate cut would be inflationary. Indeed, the rupee slide would make it well near impossible for RBI to cut rates. Reports that the finance minister is at loggerheads with the RBI governor are seriously damaging because they are perceived to be true. What is equally worrisome is the government's aggressive foray into curbing autonomy, whether in institutions of higher learning or even the Supreme Court. Will RBI be the next institution to fall? Second, Finance Minister Arun Jaitley and his ministry need to concentrate on the series of reforms they are tasked with. Indeed, it would be a major disappointment if Jaitley came up with yet another non-budget. The focus on curbing black money and corruption, while laudable, cannot remain the finance ministry's sole preoccupation. Third, India needs to urgently initiate reforms to improve its rankings on the ease of doing business. As per the 2015 World Bank rankings, India stands at 142 out of 189 countries. Modi has been promising progress on this front for over a year. Unless present rankings and perceptions improve, India will not be able to take advantage of China's downturn and attract foreign capital. Fourth, policy makers need to act with a greater sense of urgency. The onion shortfall, for instance, was estimated several months ago but delays in import resulted in the current crisis-like situation. With the Indian economy on a growth trajectory and not dependent on the Chinese economy, even a conservative Moody estimate of 7 percent growth would be a useful plank to build upon. But this requires consistency of purpose and clear policy directives monitored by PMO. Unless, the government seizes the opportunity the crash has presented, Modi would be criticized for presiding over UPA 2 in a new incarnation.